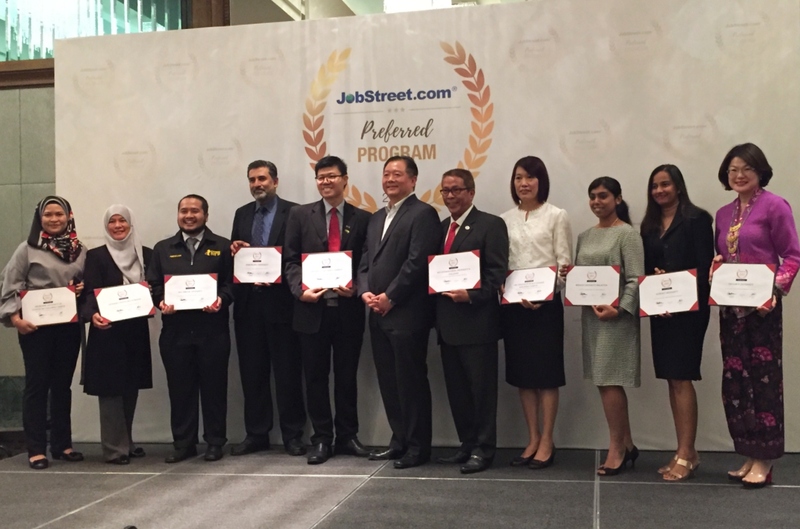 On 18th of January 2019, the University of Nottingham Malaysia (UNM) has been awarded as one of the 10 private universities recommended by Jobstreet.com. for producing quality graduates for the workforce at the Recognition of Jobstreet.com Preferred University and Preferred Professional Body program 2019. 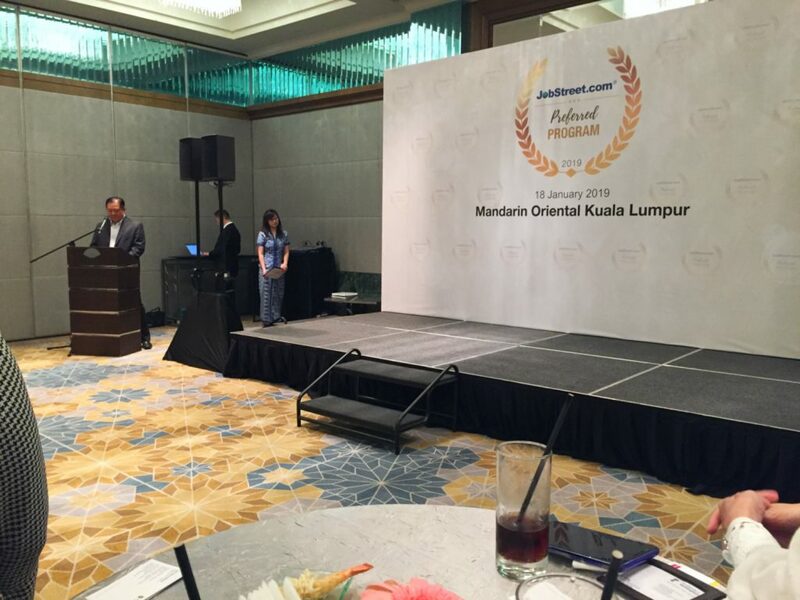 Started with opening speech by the Country Manager of Jobstreet.com, Mr. Gan Bock Herm, proceeded with award-giving to representatives of companies and universities, where the ceremony ended with group photo and followed with networking session. 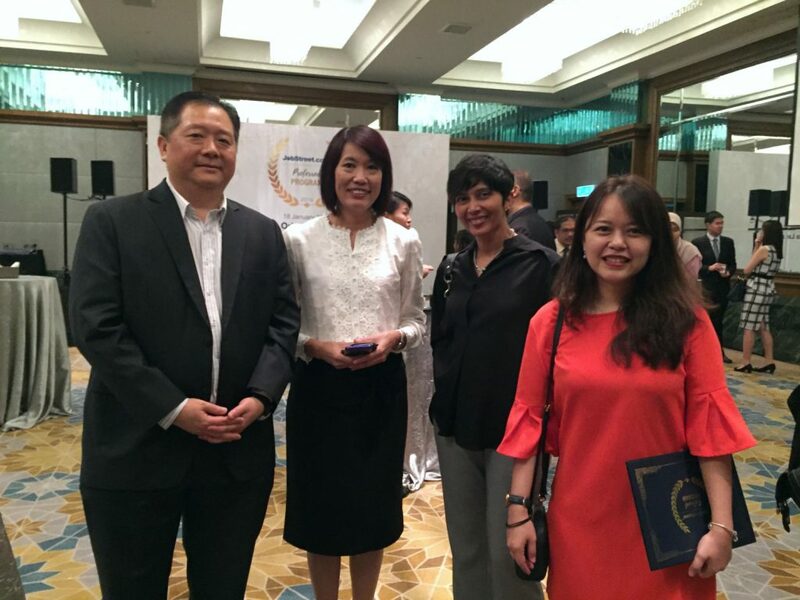 CAS has been honoured to receive this recognition and inspired us to keep supporting UNM talents spreading their wings in the fast-changing working world. 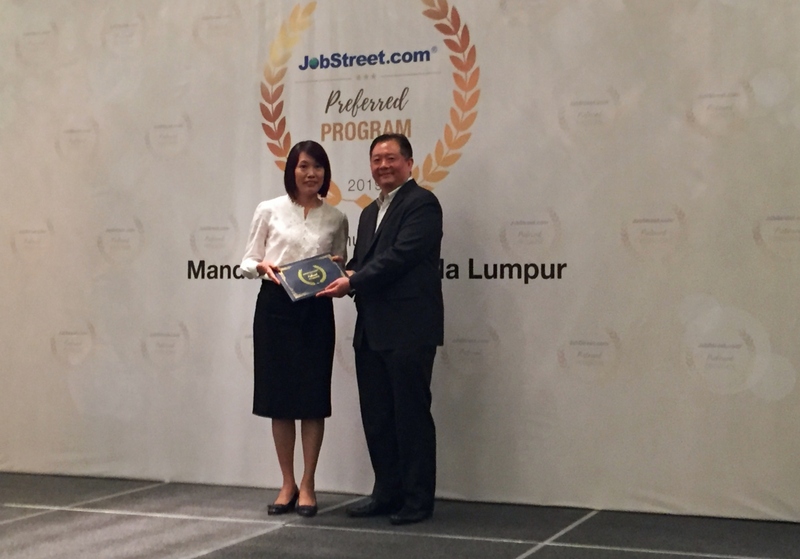 Head of Careers Advisory Service (CAS), Ms. Alicia Ch’ng, with Country Manager of Jobstreet.com, Mr. Gan Bock Herm. Mr. Gan highlighted, since the talent landscape will change with the shift to a digital economy, employers are starting to focus to hire talent with digital skills, thus more collaborations in future will be needed with an aim to nurture more skilled talents to create an agile, innovative and digital savvy workforce. 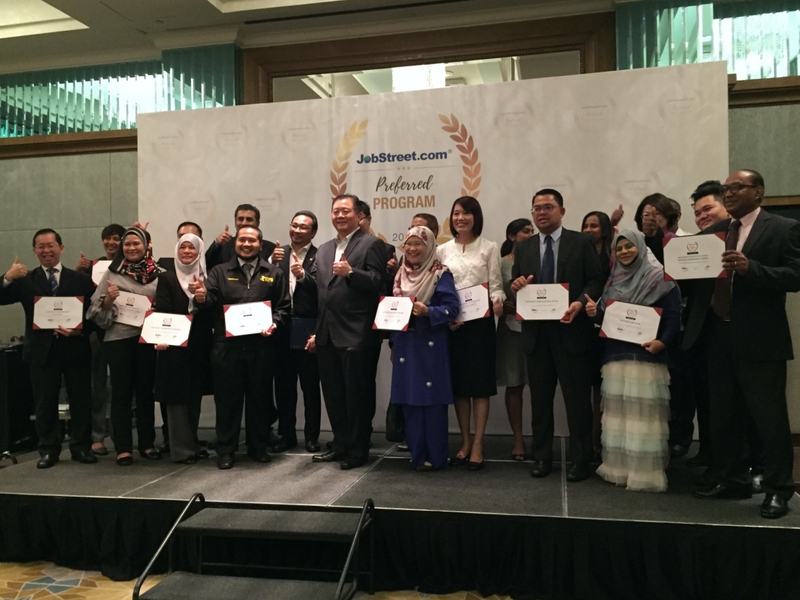 Through this preferred program, recruiters will have access to a larger pool of talents. 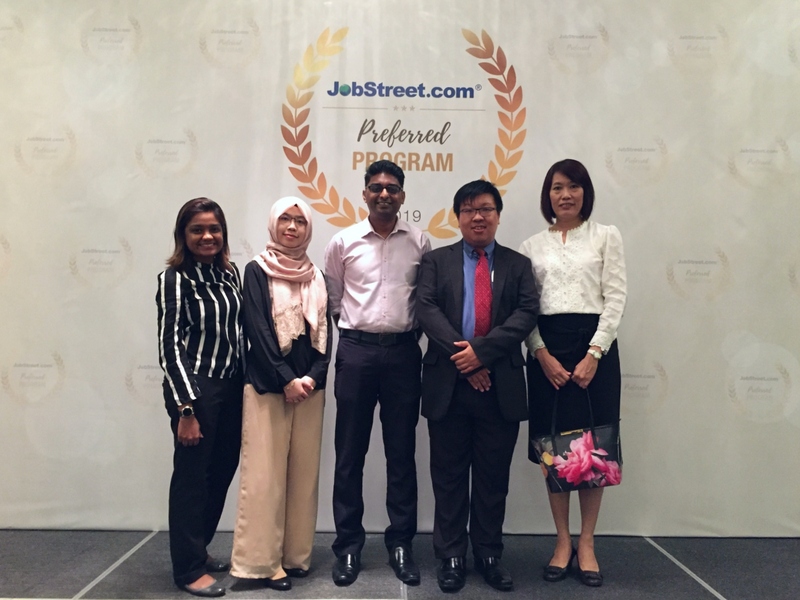 Prior to this award ceremony, one of our CAS advisers participated in Jobstreet.com HR Networking Event 2019, which the theme was ‘Reinventing HR for Future of Work: Talent Strategies in the Rapidly Growing Digital Age’. The conference that was attended by more than 350 HR professionals and representatives of companies, featured keynote speeches and panel discussions by industry leaders. The main highlight of the discussions was to focus on the need for strategic approach to attract and retain talent in the promising digital world. For more input on Job Outlook 2019, kindly refer here. In this digital age, talent landscape will also be changing and it is time to prepare for the future of work. What are you waiting for? Start to make a move now — we are here to continue supporting you! Last but not least, congratulations to other selected universities and professional bodies too, and thank you to Jobstreet.com for this recognition. Let’s work together for the better future world of work!